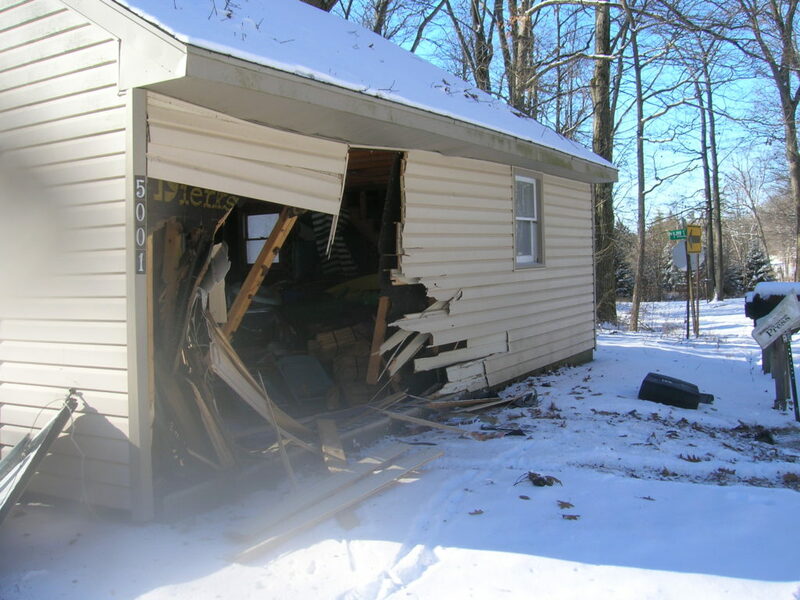 Deputies are looking for information on the vehicle and driver that hit a garage in Montcalm County and then left the scene. Courtesy photo. The Montcalm County Sheriff’s Office responded to a hit and run crash on January 20, 2019 at approximately 10:20 a.m. near the intersection of Almy and Hillman Roads in Belvidere Township. The driver has yet to be identified and the Sheriff’s Office is asking for help from the public. The investigation revealed that a southbound vehicle failed to negotiate the curve at Almy and Hillman Roads. The vehicle left the road and struck a garage. The vehicle then left eastbound. Witnesses indicate the vehicle may be a white SUV or short box pickup with a cab over the box. There were no reported injuries as a result of the crash. The Sheriff’s Office has continued to investigate the incident but the driver and vehicle have not been identified. Anyone with information is requested to contact Deputy Germain at 989-831-7590.